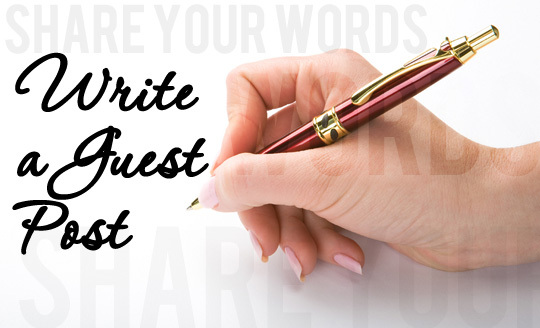 Are you guest posting on other people’s blogs? You Should be. If you’re not guest posting on blogs, you probably don’t understand how powerful and effective a strategy this is for bringing in quality traffic to your own blog. Think about this for a minute. That’s where guest posting is an ideal solution for YOU and other bloggers. As a guest blogger you’re solving a blog owner’s content dilemma by providing them with instant relevant content. What blogger doesn’t need that? For you, as the guest blogger, you’ll get instant exposure plus a quality link back to your own blog. This is an easy yet powerful solution that gives you high visibility, not only for capturing more blog traffic but for building credibility within your specific niche. More blog traffic comes from search engine ranking that you can achieve naturally and guest posting gives you that. Now, what would you say is the best method for getting top search engine ranking? If you said getting inbound links you’re partly right, actually you need quality inbound links. But what are quality inbound links? Search engines measure quality links by the keywords used in a link’s anchor text, the location of the link on the page and the relevance of the page linking to yours. Writing articles for submission to article directories and commenting on blogs is a good start, but you have no control over who picks up your article or where they put it, or if they’ll even use your resource box. And making comments on blogs doesn’t necessarily provide inbound links, and comments don’t typically allow for links to pages other than your index page. It’s also worth noting that the search engines put slightly more value on text links within the body of content as opposed to sidebars, footers and comments. That’s where the real beauty of guest posting comes into play, you have a lot more control when you guest post. Have you increased your traffic substantially in the last month? Have your gotten more subscribers? Have you tapped into new areas of your market? Have you gotten more quality links? Have your sales increased substantially in the last month? If you answered “No” to any of the above, guest blogging will improve each of those things. Every time a guest post of mine makes it to the front page of a colleague’s high traffic blog, my sales, sign-ups and inbound links grow by leaps and bounds. The sweetest part of all is that it won’t take weeks or months for me to notice results, it takes only a few days. But the real benefit of guest blogging is that I can pull from it any time my blog needs a quick shot in the arm - I like that a lot! 0 Response to "Guest Posting On Blogs Means More Traffic"